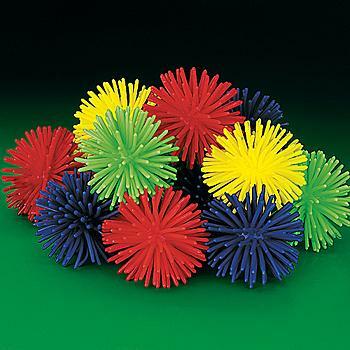 2 1/4” Soft Vinyl Jumbo Porcupine Balls (57mm). Assorted colors. (Make certain your parrot does NOT actually consume these!) 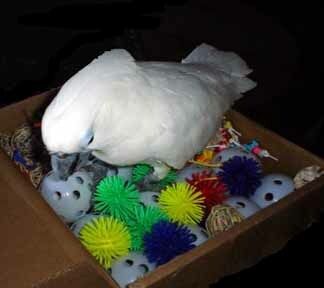 Riley (U2, pictured above) can't await for her packages to arrive, parront Michelle says that Riley has to just "DIVE INTO" her Busy Beaks' boxes! Just too much fun! !